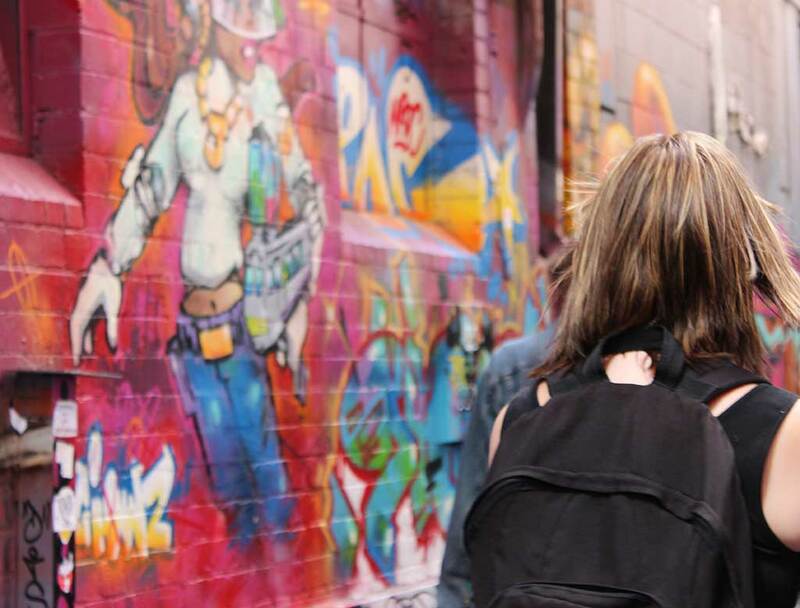 Melbourne Street Art Tours are the first and only street art tours in Australia run by street artists. With local knowledge on just about everything, our guides treat you to some of Melbourne’s hidden underground treasures. Discover some of the world's most interesting ever-changing street art and galleries as you explore hidden laneways and arcades. Melbourne Street Art Tours takes you through the streets and laneways, highlighting who the artists are, giving you a sense of current influences and issues, sharing technical aspects involved in spray painting, stencil art and paste-ups, and explaining the significant role street artists have played in making Melbourne one of the most important destinations worldwide for street art. The 3 hour tour finishes at the famous Blender Studios, where you get to see artists and street artists at work, all together in a massive art studio, chatting with artists like the infamous Heesco, Junky Projects, Ruskidd etc. over a cold beverage or two and delicious fresh produce. Gift vouchers are valid for 5 months.